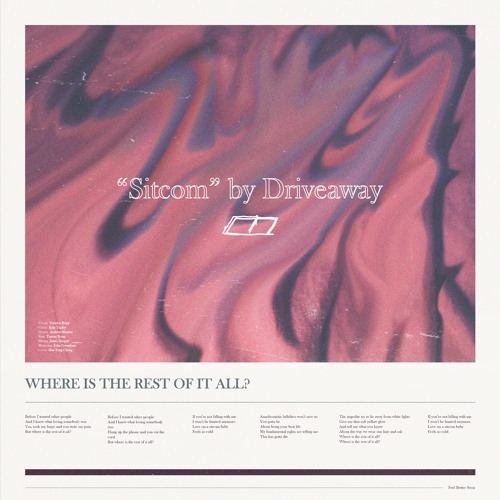 Florida-based 4-piece band Driveaway have just unveiled their brand new single Sitcom, a song that tells the story of two people finding each other in a toxic environment, then escaping it together to find something better. I am enjoying Trenton Ropp's distinctive vocals soaring over the energetic instrumental packed with groovy guitars and punchy drums. There's somewhat of a summery vibe I get while listening to this song which makes it even more appealing to me as it instantly gets me in a good mood. If you're into infectious pieces of indie-rock music with lush vocals, awesome guitar riffs and a feel-good energy, then you will love Sitcom. Check it out below!